Genetic variation is a measure of the variation that exists in the genetic makeup of individuals within population. Genetic variation is an important force in evolution as it allows natural selection to increase or decrease frequency of alleles already in the population. Genetic variation can be caused by mutation (which can create entirely new alleles in a population), random mating, random fertilization, and recombination between homologous chromosomes during meiosis (which reshuffles alleles within an organism’s offspring). Genetic variation is advantageous to a population because it enables some individuals to adapt to the environment while maintaining the survival of the population. Genetic variation is a measure of the genetic differences that exist within a population. The genetic variation of an entire species is often called genetic diversity. Genetic variations are the differences in DNA segments or genes between individuals and each variation of a gene is called an allele.For example, a population with many different alleles at a single chromosome locus has a high amount of genetic variation. Genetic variation is essential for natural selection because natural selection can only increase or decrease frequency of alleles that already exist in the population. The last three of these factors reshuffle alleles within a population, giving offspring combinations which differ from their parents and from others. 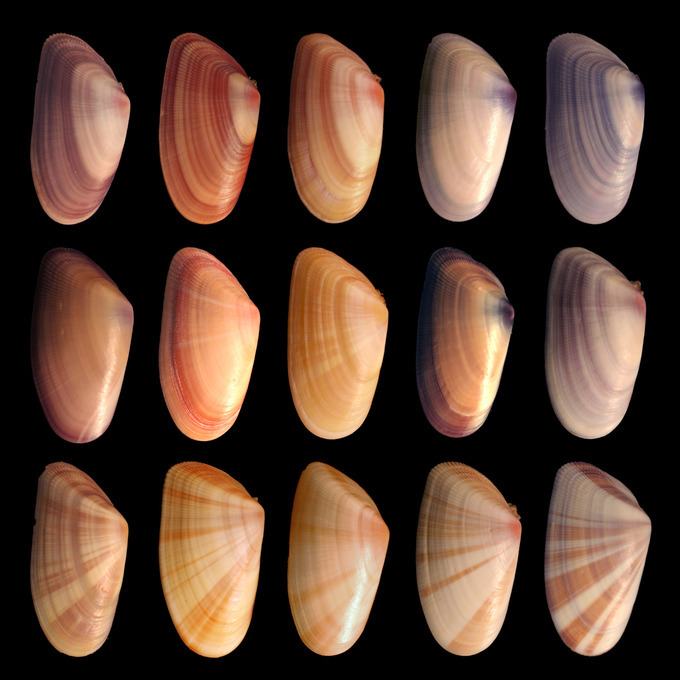 Genetic variation in the shells of Donax variabilis: An enormous amount of phenotypic variation exists in the shells of Donax varabilis, otherwise known as the coquina mollusc. This phenotypic variation is due at least partly to genetic variation within the coquina population. Low genetic diversity in the wild cheetah population: Populations of wild cheetahs have very low genetic variation. Because wild cheetahs are threatened, their species has a very low genetic diversity. 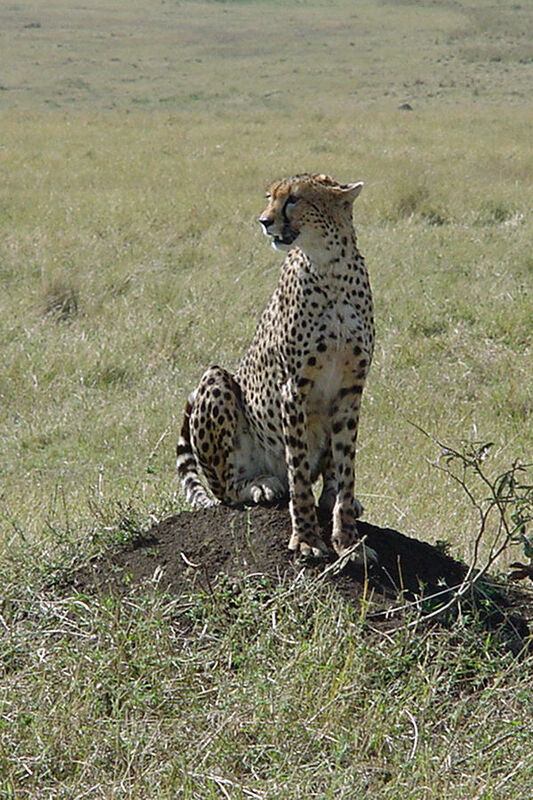 This low genetic diversity means they are often susceptible to disease and often pass on lethal recessive mutations; only about 5% of cheetahs survive to adulthood. Variation allows some individuals within a population to adapt to the changing environment. Because natural selection acts directly only on phenotypes, more genetic variation within a population usually enables more phenotypic variation. Some new alleles increase an organism’s ability to survive and reproduce, which then ensures the survival of the allele in the population. Other new alleles may be immediately detrimental (such as a malformed oxygen-carrying protein) and organisms carrying these new mutations will die out. Neutral alleles are neither selected for nor against and usually remain in the population. Genetic variation is advantageous because it enables some individuals and, therefore, a population, to survive despite a changing environment. Some species display geographic variation as well as variation within a population. Geographic variation, or the distinctions in the genetic makeup of different populations, often occurs when populations are geographically separated by environmental barriers or when they are under selection pressures from a different environment. One example of geographic variation are clines: graded changes in a character down a geographic axis. Gene duplication, mutation, or other processes can produce new genes and alleles and increase genetic variation. New genetic variation can be created within generations in a population, so a population with rapid reproduction rates will probably have high genetic variation. However, existing genes can be arranged in new ways from chromosomal crossing over and recombination in sexual reproduction. Overall, the main sources of genetic variation are the formation of new alleles, the altering of gene number or position, rapid reproduction, and sexual reproduction.